SAVE – Saving the Archipelago Sea by applying gypsum to agricultural fields is studying gypsum treatment as a means to improve the quality of the Archipelago Sea and the entire Baltic Sea. The aim of the project is to study the operation in large scale and to gather more information about its effect on water quality. The pilot is organized in close co-operation with participating farmers. 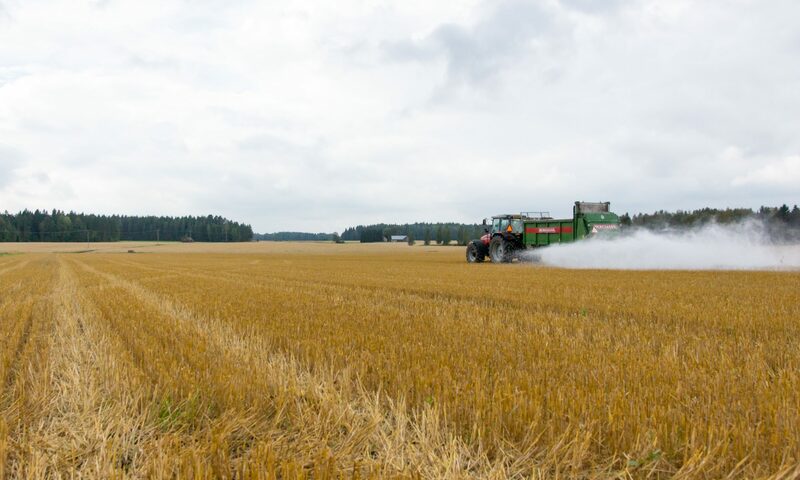 Based on the results, a plan for applying gypsum in the whole Southern Finland is compiled, and the incorporation of gypsum treatment into the Finnish agri-environmental scheme suggested. SAVE is a joint project of the University of Helsinki and the Finnish Environment Institute, funded by the Finnish Ministry of Environment. The pilot is also a part of project NutriTrade funded by the EU Central Baltic programme. Read more about SAVE. Gypsum has the potential to significantly lower the phosphorus loading originating from agriculture and ending up in the Baltic Sea. The method is easy for farmers to apply, and as a water protection measure it is quick and effective. Earlier studies suggest that gypsum can reduce the phosphorus load by half without requiring changes in farming practices or a decrease in cultivation area or yields.